This year marks the 14th anniversary of our family vacation to the Rough Cut Lodge (www.roughtcutlodge.com) located on Pine Creek in Tioga County. We have 3 generations of family members (35 total this year). During this early June vacation there are outside games, rafting, cookouts, and yes fly fishing. The fly fishermen range from those in their early 60’s to 8 years old. 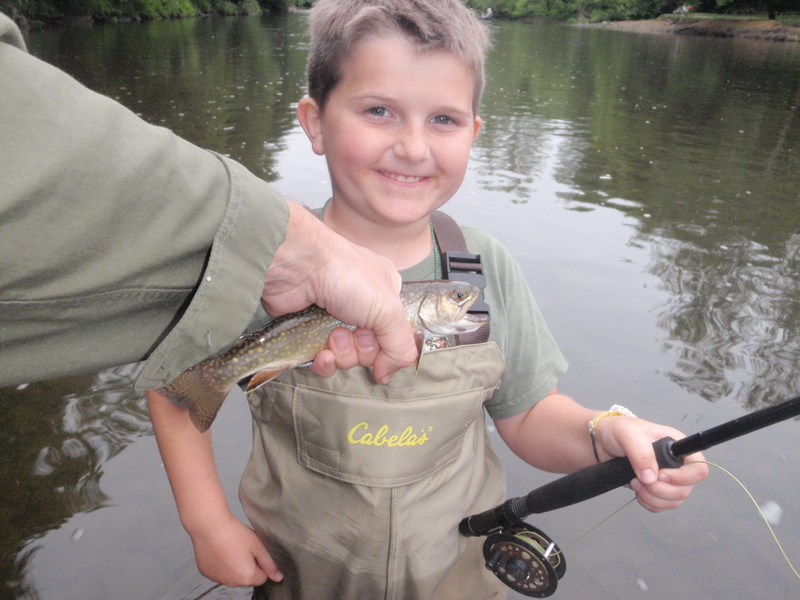 Some of these younger fishermen are already catching fish on a fly rod and “hooked”. The great thing about Tioga and Potter counties is the versatility of fishing. 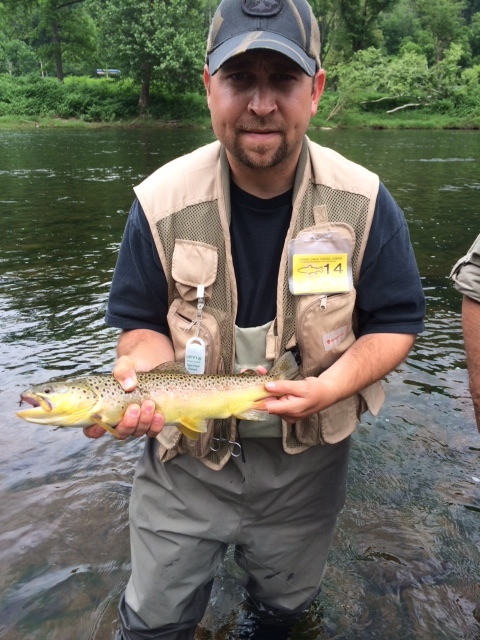 We fish smaller streams like Slate Run, Lyman Run, West Pine and Cross Fork for wild browns and brookies. We caught some good fish on Kettle Creek and the Allegheny River above Coudersport and of course Pine Creek – behind the Rough Cut Lodge on Rt. 6 and where Slate Run empties into Pine. In addition to the versatility of water, we saw numerous bug hatches including brown drakes, green drakes, slate drakes and more consistent hatches of sulphurs, caddis and blue winged olives. Depending on the stream, time of day and weather conditions, we caught fish on sulphurs, BWOs, caddis, brown drakes, slate drakes, adams patterns and attractor flies. Family fun, a beautiful setting, fly fishing and good comradery… what more can one ask for! Awesome time for all. Thanks to all who make this happen every year! I agree Larry. We look forward to seeing your family and missed Lisa this year.